Dr Steven Truxal, a Senior Lecturer in the City Law School was one of the featured speakers at The Future of Air Transport 2016 conference held in London. Dr Steven Truxal was one of the featured speakers at The Future of Air Transport 2016 conference (6-7 December). He spoke alongside CEOs and top executives from major global airlines and other key players in air transport. The annual conference attracts hundreds of participants from across the sector and the globe. Dr Truxal addressed the audience on ‘Mergers, Acquisitions and “Fair” Competition in Aviation’, which is one aspect of his new book, Economic and Environmental Regulation of International Aviation: From Inter-national to Global Governance, which was published by Routledge on December 6. In light the on-going allegations of State subsidies provided to Gulf carriers, Dr Truxal focused on the need to ensure – through legal instruments – a ‘level playing field’ in the global governance of aviation, particularly regarding ‘fair’ competition safeguards and a ‘fair and equal opportunity for airlines to compete’ in the global market. 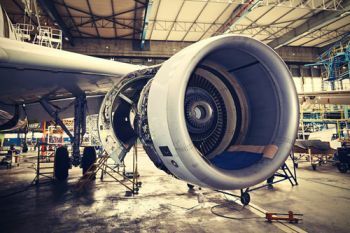 The European Commission, vis-à-vis the European Aviation Strategy, launched a proposal a year ago to include safeguard clauses in bilateral air services agreements between States, providing crucial air traffic rights to airlines registered in those States. Dr Truxal cautioned, however, that this solution will only be effective if both States’ competition regimes provide adequate rules for anti-competitive practices alongside robust enforcement procedures.